You can find more information about Kristi at KristiHines.com and Kikolani.com. Jason Hartman: It’s my pleasure to welcome Kristi Hines to the show. She is a freelance writer, ghost writer, professional blogger and social media enthusiast. Her work has been featured on the Power 150 blogs such as Social Media Examiner, Search Engine Watch, Search Engine Journal, Business 2 Community, Windmill Networking, SEO Gadget and KISSmetrics, and it’s great to have her coming to us today from Utah. Kristi, welcome, how are you? Kristi Hines: Oh, doing alright. How are you? Jason Hartman: Well, good. Good to have you. Now, I’m really interested because you picked a very specific niche market here when you decided to do a new course on blog post promotion now. That is not blog promotion. There are many people that talk about you’ve got a blog, here’s how you promote it. This is promoting an individual post that might be on your own blog, it might be on a social network, it might be on someone else’s blog, and it’s a really good concept to drill down on this this way. Tell us more about it. Kristi Hines: I basically decided to do it because obviously I started writing for my own blog, but then I started doing a lot of guest posting and then I started doing freelance writing for clients. And the way you promote your own posts is a little bit different than the way you would promote stuff on somebody else’s site. And I was finding a lot of people had issues like they would just be like, well, I write for my own site, I get good reception, then I write for somebody else’s site and I don’t get a lot of traffic for it, and those people are not too impressed by my content because of that, so how do I fix that? It started out as an e-book actually and I wrote about just different ways to promote your blog post and then I just kept adding content to it to the point that I decided to make it into a course. Jason Hartman: So, how does one promote their own blog post? A specific post? Kristi Hines: There are tons of different ways. I mean, most people think of just I’ll share it on Twitter, I’ll share it on Facebook, and kind of that’ll be that. But there’s also you can share it with your mailing list. A lot of times bloggers don’t start mailing lists simply because they’re like “We’re not selling anything right now, so why would I need it?” But you want to have a mailing list. That way you always have like a direct line of communication with all of your readers and your subscribers. That’s kind of more easier to reach people with than say Facebook where you have to deal with the ad rank and not having your updates show up to everybody that’s subscribed to you. So, I mean, there are really just a ton of different ways to kind of promote your own content. Jason Hartman: Well, I know there are. It’s quite comprehensive here, all of these subheadings, whether it be influencer marketing, email marketing, promotion network, social media, social bookmarking, curation networks, Q & A networks, forums, I mean, wow. And that’s not all. So do you want to drill down just a little bit on each one? Of course, the course is really comprehensive. There are numerous screenshots, a lot of texts, just leading you through this whole process of 16 different modules. But maybe we can touch on several of them or touch on all of them depending on whether time’s permitting. Do you want to just kind of go through that in order? Kristi Hines: Sure, that sounds good. I kind of want to make the course two ways, like, one, if you had a large audience, how could you reach them in different ways? And also, if you don’t have a large audience, like what kind of advertising you could get. There’s actually a bonus section that teaches you how to actually build your audience on social media, so that way you have people to talk to. But in the course I started with influencer marketing because that seems to be just one of the most effective ways to get your blog content out there or any content really is to reach out to somebody who already has like a large audience and they have a lot of influence in your niche and ask them, hey, I just wrote this piece of content. I’m sure you’re gonna like it. If you do, if you don’t mind sharing it with your followers, that would be great. So it kind of gives you different ways to find influencers in your niche if you’re not sure how to find them to start with and actually connect with them and then get to the point where you’ve built a relationship that you could actually reach out to them and let them know if you have something special you’d like to have him help you share and everything. Jason Hartman: Okay, alright. So give us an example of maybe a certain niche in how you find the influencers and maybe who they are in that niche, like just a case study kind of concept if you would. Kristi Hines: Well, one thing I like to do, and it’s kind of simple to do, is there’s a website called FollwerWonk.com. Kristi Hines: Mhm, and what it does is it lets you search people’s Twitter bios, and once you get a listing of people, then you can sort those people by who has the most followers and who has the most social influence, and that’s one really good way to find somebody popular in any topic because you could look up somebody with gardening in their profile, you can look up somebody’s Facebook, SEO, just pretty much anything, and you can find people who have a lot of followers and that can kind of clue you into who the popular people are in any niche really. And another site, if you go to Clout.com and look at their topics section in particular, you’ll get to see like who Clout thinks is an influence or under a specific topic. It’s a more narrow list, but you also get to see people who talk about specific things, people who are receiving votes from other people saying that they are influencers in the topic. So I think those are two probably the top ways I usually find people. Jason Hartman: Okay, good, good stuff. Okay, so next thing, so finding the influencers and what is the goal with finding the influencers? Is it getting them to link to that post? Is it getting them to comment on it? All of the above? Kristi Hines: You kind of don’t want to be pushy about it. You don’t want to reach out to somebody and say “Hey, I want you to like this.” What I usually do, at least, is I find somebody who’s really interested in a specific topic that has a large following, and then I’ll just say, hey, I noticed you’re interested in this topic. I just wrote this blog post. It’s like a complete guide to Facebook. If you like it, I’d love it if you share it with your audience and then you just let them do whatever feels natural at that point. So I’ve gotten say Mari Smith to share some of my posts and they usually get really good reception because she’s like a well-known Facebook expert. Jason Hartman: Okay, next one down. Kristi Hines: Email marketing, there’s a couple different ways you can do it. You could start with just people you know, because a lot of times if you’re a content creator, people will reach out to you, say hey, I’ve written this post. I’d love it if you share it. And you could just add those people, kind of a list in your own personal contact book. That way when you have something you want to promote, you just reach back out to them and say, hey, I just wrote this. I know it’s in the same niche as what you like to write about, so I hope you share it with your audience. So it’s kind of a reciprocal marketing strategy. And then there’s also just the email marketing where you create a mailing list on your own site and as you build readers to that or subscribers to that mailing list every time you have something really major important that you want to share, you just email that list and let them know, hey, I wrote this post, and it can be on your site, it can be on another site, and you’re just letting them know that I have a new piece of content out. And it’s really not salesy, so you’ll get a lot of good response from doing that. I even mark my email headlines as being a blog post, so that way they know they’re not opening up a sales letter. Jason Hartman: Right, right. Yeah, okay. Kristi Hines: And it gets a lot of click throughs. And usually after I send something to my mailing list, I mean I get a lot of comments and social shares from that. So you don’t even have to tell people what you want them to do at that stage. They’ll just kind of go and do it once they get there. Jason Hartman: Because they find it valuable. Yeah, good. Alright, what else? Kristi Hines: Let’s see. Actually, the next section is about promotional networks. And there are actually a lot of networks out there that they’re built upon people coming together who want to promote content. And so, one of them is Triberr, that’s a really popular one where you create like your own tribe of similar minded people and everybody’s blog post are just kind of fed through this network. Jason Hartman: Sure. We interviewed the founder of Triberr on the show. Really great concept, yeah. Kristi Hines: Yeah, it’s a great way to get people who want to read certain content, share certain content, all together and everything. It’s a great network to do that. And then there’s other networks where it’s built upon other people share content and then like you go in and say you tweet a post and you get 4 credits for tweeting it and like 5 credits for liking it on Facebook. And that network’s called Viral Content Buzz, and I think it’s just ViralContentBuzz.com. But, basically you go in, you share other people’s content, you get credits, and as you build up credits, then you can start sharing your own content with that network and they’ll see it and they can kind of tweet it and share it based on whether they like it or not obviously. But it’s a good way to kind of reciprocally get your content out there. Jason Hartman: Yeah, great points. It’s amazing how many tools there are and how many different sites we all have to use and join to do this. We’re all in the syndication business nowadays, aren’t we? Kristi Hines: Exactly. And that’s the thing, though. You kind of think, oh, I just want to work on one network. I don’t want to do all this tons of stuff. But there’s always like the people who are just gonna be on Twitter or just gonna be on Facebook or maybe they’re just subscribing to people who are in their tribe on Triberr. So you kind of have to – like, if you really want to seriously promote content, you kind of have to kind of put yourself out there in a lot of different places. That way you’re reaching all of those people who maybe just use one tool. Jason Hartman: Any tips on topic ideas? Kristi Hines: I actually have an entire topic on how to find topic ideas in here and the biggest inspiration for me when I’m finding broad content ideas is I just subscribe to all the top blogs in my niche, and I watch like what they write about. And sometimes you’ll say the things that are hot topics like everybody’s talking about. Facebook removed their contest guidelines or the using apps and stuff. You’ll see like those hot topics, and when you go read the post about them, sometimes you’ll be like, oh, hey, they didn’t mention this and I think that’s kind of important. So that gives you a new angle to write about. So I like to do that and I also like to look up specific sites that are writing about similar content and see what’s popular on their sites, because it kind of gives you more ideas. You’ll be like, oh hey, this site gets really good reception if you do list posts with tools. So maybe I should try that on my site or cute gifts or stuff like that. So, I think a lot of it’s just about kind of researching similar blogs in your niche and see what’s working for them, what’s not, and then finding a unique angle that you can kind of tackle on your own. Jason Hartman: And tying it in with something that’s in the news is a good idea, isn’t it? A trending post, right? Kristi Hines: If you can get it in on a trending topic within the first 24 hours, you usually get a lot of traffic from it. The last one I did was when Google Reader was shutting down. I did 3 different posts on like different alternative ways to subscribe the RSS feeds. And those posts, like within the first 3 days, always got a ton of traffic. Jason Hartman: What are your views on RSS, by the way? I liked the RSS reader concept. Why is that going out of style? Or maybe you don’t think it is, but it seems like it to me. Kristi Hines: Well, my husband’s theory about this, actually, is he thinks that Google wants everybody just to subscribe to people on Google+. So that’s why they got rid of Google Reader, they got rid of the RSS alerts on their Google Alerts property. So it’s almost trying to force you to think, oh, RSS isn’t popular. But I mean it still really is. It’s widely used. All of the alternative networks for RSS readers got a ton of traffic and new users after Google Reader went away. And there are just really great ways you could kind of hack into RSS feeds and promote your own content too, because one of the things I do since I write for so many different sites. I go and find the RSS feeds for just my author, kind of like there’s always a section where you can get an RSS feed just for one author. And I use that to kind of feed into different networks that pull out RSS feeds. And it’s a great way to kind of promote things. Jason Hartman: Going down the list and thinking of other items that you want to touch on, what are they? Kristi Hines: Let’s see. I mean, most people know social media obviously is a great way to promote your content, but there’s a lot of different ways to do it within each network. Like, for the Twitter section I think I have like 15 different ways that you can kind of use Twitter to promote your content. And it’s just all about going beyond just tweeting it once and hoping everybody catches it. For example, you’ve got followers in different time zones. You’re gonna want to tweet it multiple times a day to make sure you kind of catch as many people as possible. Jason Hartman: Well, you’ve got to tweet it with a different angle each time, right? Kristi Hines: Exactly. I always suggest it like you start by tweeting it just with the main title of the post and then maybe the next time you tweet it you ask a question. Just like how do you find followers for Twitter? Here are 15 tips, things like that. And just vary it up, that way if somebody does happen to see it all 3 times, they don’t feel like you’re tweeting the exact same thing over and over. Jason Hartman: Right, they’ll unfollow you pretty fast if they think you’re spamming and annoying. Kristi Hines: Exactly, yeah. But if you kind of find a different way to write it, I mean even if they did see it 3 times, maybe the 3rd time the way you rewrite your headline’s gonna be the charm and they click on it. Jason Hartman: What about curation networks? Kristi Hines: Curation networks are kind of like Scoop.it, and basically they’re networks where people build this – kind of think of it like Pinterest, except for with more text and links instead of just images. But they create these boards where they just share all the content that they think is interesting and people follow them just to kind of see the content they share. And one of the things you can do with that network is you can actually go find the most popular people in your niche who are talking about whatever that you’re writing about and you can actually submit your post link to them as a suggestion, and sometimes they’ll post it. And when they post it to that network, usually they end up tweeting at the same time because that’s connected. So, it’s just another good way to get your post out there. Jason Hartman: And Google Alerts, I mean I use Google Alerts as a research tool and just to keep my brands and knowing what the talk is about my different brands out there. How would you use it in this context, though? Kristi Hines: In this context, what you’re looking for is opportunities to mention your blog post. One of the things I did a couple of years ago was a lot of people are always asking what’s the difference between one WordPress thing and another. It was StudioPress and thesis. And so what I did was I created this comprehensive guide of like the differences between the two themes, and I created a Google Alert that said “thesis versus genesis”, that way when people post in a forum, hey, I want to compare these two themes, I could kind of follow up. I could go to that forum and just be like, hey, I wrote this post about that topic, so you can kind of see all the differences. So, basically, it just kind of gives you an alert when somebody’s talking about something that you could kind of answer their question with a blog post. Jason Hartman: And you can chime in there, “Oh, that’s great”. Very good, okay. How about paid syndication? Kristi Hines: Paid syndication was actually really interesting because I read CNN a lot and you see those links at the bottom, more content like this, and it shares links to going out to other sites. And I’m like, oh, I wonder how much that costs to get on there, and it’s actually not that expensive. So, it’s a CPC model, so it’s just like depending on the topic of your link it could be less than a dollar per click. And so basically you just put your blog post into that system, and every time they find a post out there on a big site that’s similar they’ll recommend your post along with it. So it’s just a bunch of network that do that kind of thing. 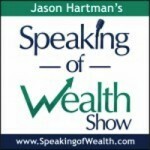 Jason Hartman: But who are you paying and how much are you paying them to do this? Kristi Hines: One of the company’s name is Outbrain and it’s based on whatever the topic of your content is that you want to share. So I just tested it with some marketing content and usually it was only like 20 to 30 cents per click. And what it does is say I wrote a post about Twitter – if there was a post on CNN about Twitter, about social media in general, my post can come up in there in that little recommended link section. And if somebody reads through the CNN post and they’re like “Oh, that was interesting” then hopefully the assumption is they come down to your link and be like “Oh, I want to learn more about that” and they click on it. That’ll just give you more exposure for your content. Jason Hartman: Any tips for like using Outbrain correctly? I think it might be that kind of black hole like AdWords. A lot of people have mixed results, very mixed with AdWords. Kristi Hines: I mean, the same thing with AdWords too, it’s all about testing. You don’t want to put a huge budget out there at first, so I’m trying to start with something small, see how many clicks you get and then analyze it in Google Analytics because you’ll see in your traffic sources with referrals that I think it’s like paid.outbrain.com and that’s the referral URL that it sends. And what you want to do is like you want to look at the traffic you get and see if they’re actually spending time on your page, reading your content. If you have anything you want them to convert into doing like buying a product or signing up for your mailing list, you want to see if that referral actually gives you those things. And that’s all measurable in Google Analytics and there’s other analytics tools that’ll measure it for you too. And so you just want to kind of experiment with it and make sure you’re getting the results you want, and if you’re not, then you should just stop that and maybe apply the advertising to something else like Facebook ads. Jason Hartman: Another potential black hole by the way. But also, used properly it could be great. Your last module in the course – there’s 16 modules by the way – is entitled “Cheap Tricks”. Is that referring to black hat stuff or is it just referring to using inexpensive tools like Fiverr for example. Kristi Hines: That is referring to the fact that one of the reasons I created this course in general is because a lot of bloggers enter a blogging contest where a bunch of people are gonna submit content and then whoever has the most popular post wins whatever the prize is. And one of the times I did this, I noticed that like this person who had no audience was getting a ton of traffic to their post and I’m like how are they doing that? And so I kind of made this module so people knew that there are other alternatives out there, but at the same time, they’re not quality. So you could go to Fiverr, for example, and for $5 you can get 5000 tweets to your article, which is great because it’s gonna inflate that little Twitter account number and everything, but at the same time those tweets are by accounts that have no followers, they’re automated, so they’re not gonna actually bring you traffic. All that’s gonna give you is a number. And it’s kind of the same thing when you buy traffic, too, because there’s lots of networks that’ll say, oh, I’ll send 10,000 visitors to your website for this amount. And those visits are gonna like leave the second they get there. Half the time they’re just automated little computers. So it really does nothing but inflate your numbers. Jason Hartman: I always wondered how you’d look through Fiverr and you see some of these offers seem so ridiculous. I mean, they really do. Oh, I’ll give you 5000 views on your YouTube video in 24 hours. I mean, how do they do that? Did someone just have 5000 YouTube accounts? Kristi Hines: I don’t understand how some of them work. I know the Twitter one, what they do is they have one main account and then they have like these 5000 other accounts that they created that just auto-tweet whatever the main account tweets. So, basically, they just tweeted out of one account and then you get automatic 5000 tweets straight from it. Jason Hartman: I mean, that can’t work. All of the systems are set up to guard against things like bots and spiders and auto-tweets and auto-likes and things like that, right? Kristi Hines: It shouldn’t work, but for a while it does. With the YouTube views, I mean sometimes, if you think about it, there are reasons why you would want to do that, because there are people who will look at like 10 videos and they’ll say, oh, that’s the most watched video so that must be the best one. And so you could get a legit view out of having bought so many other views to start with. So there are kind of legit reasons to do it in some cases, but at the same time you have to know you have to know you’re not getting anything else but a number out of it. Jason Hartman: Talk to us about some of the other stuff you do, Kristi? You’re a ghost writer, you do general freelance writing. Give us a little background on that? Kristi Hines: Primarily, I offer blog content development for people, like for other bloggers and other businesses who just want to have higher quality content on their website and I focus that on online marketing because that’s what I’ve done for the last 5 or 6 years now. And it’s just mostly for people who don’t have time because like a lot of times businesses are working on their business, their clients and stuff like that. They don’t have time to be updating their blog every week to get any content out there. So that’s just to kind of help them keep their content up. And, in some cases, people do it just to have experienced authors on their website that they know are gonna actually go out and promote the content for them so they can get new traffic. Jason Hartman: Okay, good. What about ghostwriting? I kind of always thought it as a sort of funny profession, the ghostwriting world. Ghostwriters typically, it’s sort of hard to hire one I think because a lot of times they won’t tell you what they’ve written. And you have no way to really verify it since it’s ghosted. Kristi Hines: Well, actually I have content out there two ways. I have content out there under my own name, so I use that as my examples of my work, and obviously I can’t talk about the people I ghostwrite for, but it can be a good way for people who are already experts on a subject and they just don’t have the time to actually sit down and write about it to get the content out there and kind of build up their authority in their niche. So there’s legit reasons to do that. I kind of feel uncomfortable if it’s somebody who doesn’t know something about it and they want you to write about it so they can pretend they know something about it. Jason Hartman: That’s not good at all. That’s just disingenuous. Kristi Hines: Yeah, but most of the people I’ve worked for, I know they know what they’re doing – they just don’t have time to actually do it for themselves. Jason Hartman: Right, okay, cool. Good stuff. Well, Kristi, give out your website if you would and tell people where they can learn more about you. Kristi Hines: My main blog is Kikolani.com and the course that we’ve been talking about on Blogpost Promotion is BlogpostPromotion.com. Jason Hartman: And the distinction there, again, folks, is promoting a single post versus an entire blog, and I think that could be much more successful. Kristi Hines: Exactly, yeah. Because if you can continuously promote your content, then your website as a whole is gonna get more traffic, get more subscribers. Jason Hartman: Good stuff. Well, Kristi Hines, thank you so much for joining us today. Kristi Hines: Oh, thank you for inviting me.